SEJ News is a regular feature of SEJournal Online, featuring information about the organization, its mission and initiatives, partnerships and more. For questions and comments, or to suggest future SEJ News items, email the SEJournal Online editor at sejournaleditor@sej.org. 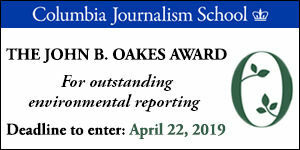 It’s a “make or break” year for a range of environmental and energy issues, advise leading journalists at the Society of Environmental Journalists’ annual “2019 Journalists’ Guide to Energy & Environment” event in Washington, D.C., on Jan. 25. The gathering also featured a surprise appearance by a top EPA official, who was questioned about administration policy on climate change. Read our coverage of the forum in this SEJ News report. SEJournal looks ahead to key issues in the coming year with this "2019 Journalists’ Guide to Energy & Environment" special report. Stay tuned as we continue to add elements to the report up through and beyond its formal launch Jan. 25 at an annual roundtable, organized by the Society of Environmental Journalists with the Wilson Center in Washington, D.C. The Society of Environmental Journalists has tapped former long-time associate board member Meaghan Parker as its new executive director, following a nearly six-month-long search. Parker, praised by SEJ President Bobby Magill for her experience, vision and commitment to environmental journalism, will take on the post on Sept. 17. Newsroom cutbacks are among the many obstacles that environmental reporters face in reporting local climate change stories, per a new survey of members of the Society of Environmental Journalists. The study was conducted with the SEJ by the Climate Matters project at George Mason University to help identify ways to provide reporters with better tools and professional develop training. Get the full results. Independent coverage of Western Lands, the Gulf of Mexico, Peruvian Amazon and Puerto Rico will expand over the coming year through projects of SEJ’s Fund for Environmental Journalism (FEJ). The Society of Environmental Journalists has disbursed a new round of project grants to individuals and news organizations, made possible by individual gifts and foundation grants to SEJ. Top reporters at an event sponsored by the Society of Environmental Journalists predicted clashes in 2018 over climate, drilling on public lands, environmental laws, infrastructure, national monuments and more. Here's what these journalistic veterans forecast. Plus, check out the accompanying annual issues guide. SEJournal looks ahead to key issues in the coming year with this "2018 Journalists’ Guide to Energy & Environment" special report. Stay tuned as we continue to add elements to the report up through and beyond its formal launch Jan. 26 at an annual roundtable, organized by the Society of Environmental Journalists with George Mason University and the Wilson Center in Washington, D.C.
Policy experts and reporters at an SEJ forum in Seattle July 6 cautioned that environmental journalists must go into overdrive to keep up with fast and furious changes coming during the Trump Administration. 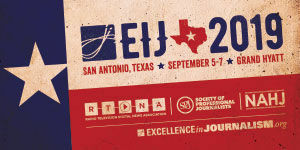 Get more in our SEJ News coverage. Photo: Former EPA official Dennis McLerran, left, fields a query from moderator Jeff Burnside. Read McLerran's full remarks here. SEJers heard from top experts in environmental law and the science of communicating to news consumers, as well as receiving training in FOIA, databases and key digital storytelling tools at a four-day workshop in Dallas, held alongside Earth Day Texas. Get the highlights in our report from the late April gathering. When quality journalism is under attack, what better way to respond than to highlight the best work our profession can offer? That's what the co-chair of SEJ annual awards program is calling on members to do. And he's got good reasons. 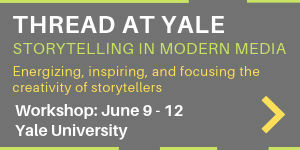 Find out how to enter before the April 3 extended deadline.